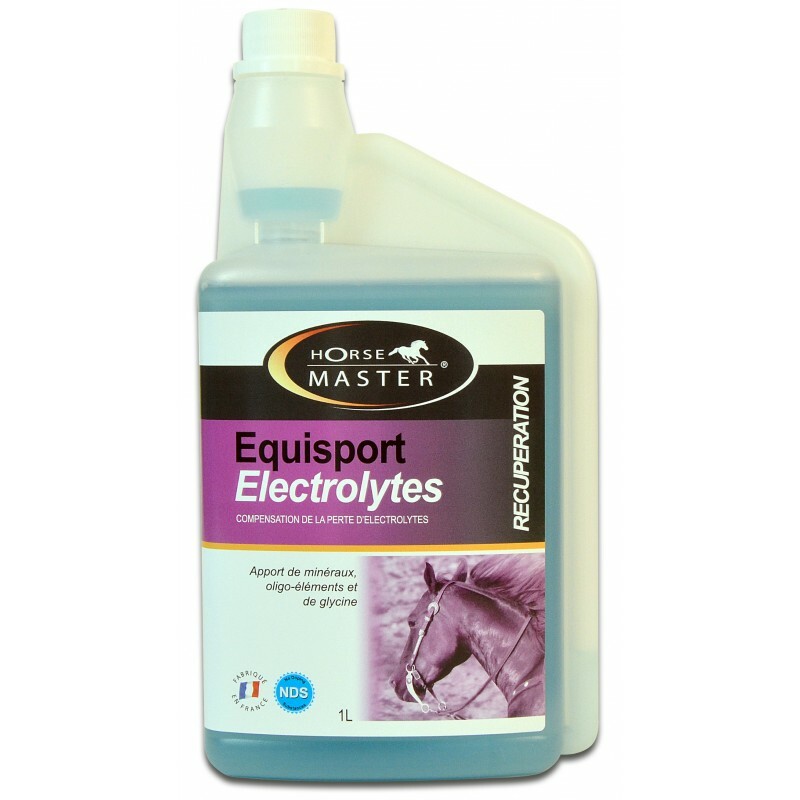 EQUISPORT ELECTROLYTES, for compensation of electrolyte losses in equines and for use as a supplemental source of nutrients ideally required to support recovery after racing, hard training, travel, endurance, foaling. 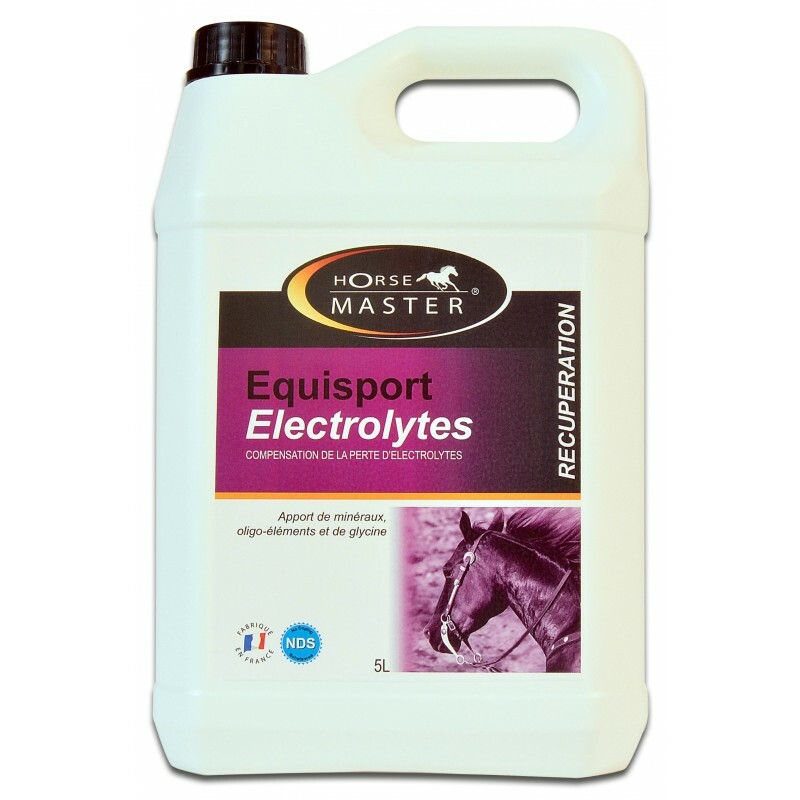 During periods of training, performance, and high ambient temperatures, horses lose large quantities of electrolytes through sweat. Because some electrolytes, such as sodium and potassium, are in short supply in basic feeds, it is important to provide a salt block for horses to use at liberty. In these conditions horses need additional electrolytes added to their daily diet. EQUISPORT ELECTROLYTE provides a balanced, readily absorbable supply of the major electrolytes in a concentrated and highly palatable liquid supplement. Feed 50 ml after an effort or an important stress.